The THD-U series Euro hopper dryers adopt hot air down-blowing design and use stainless steel material hoppers to avoid contamination. With this design, they are also ideally suited for use with honeycomb dehumidifiers to dry engineering plastics. 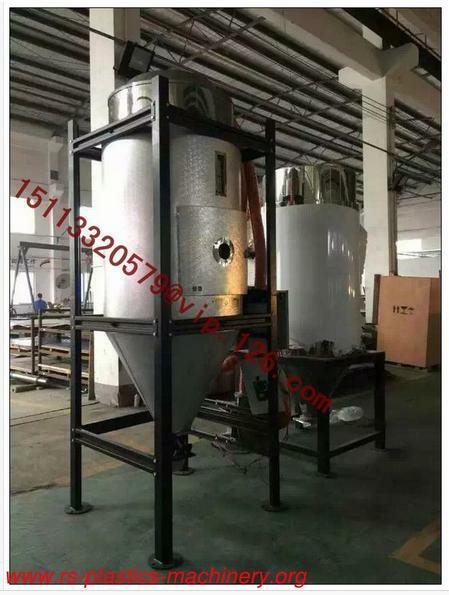 There are 25 models, available, ranging from 20U to 8000U liters with airtight material cleaning door on models, available material cleaning door on models THD-80U and above. The microprocessor control featuring digital display and auto start/stop timer as standard equipment. • Innovative design with sleek appearance. • Hot air down-blowing design ensures even distribution of hot air to maintain a steady temperature in the hopper and increase drying efficiency. • All material contact surfaces are made of stainless steel. • Material clearance door seal and makes clean down more convenient and effective, (models THD-80U and above). • Microprocessor is used for accurate temperature control. • Overheat protection to ensure reliable operation. • Digital P.I.D temperature control with LED display. 7 days automatic start/stop timer to improve energy saving. • Aluminum based as a standard equipment. • Option accessories :magnetic base(aluminum or stainless steel),mobile floor stand, suction box, hot air recycling, exhaust air filter, blower inlet filter. 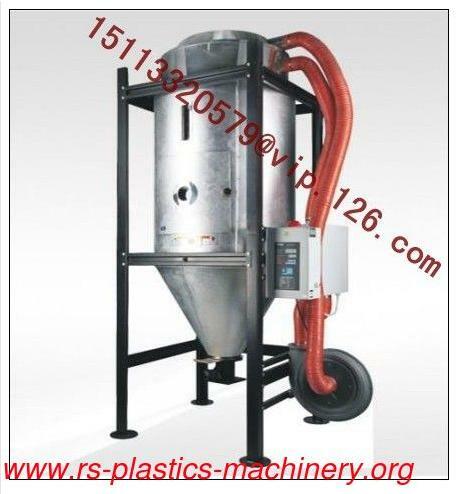 Drying hopper and hopper lid can be fully insulated for high temperature application. 1 )For polished hopper inside, plus “ P ” at model behind. 2) Mark “ HT ” at the back of models when 180 high-temperature is requested. 3) Blower is included in machine net weight, but floor stand is not included. We do Paypal, West Union, T/T and L/C!